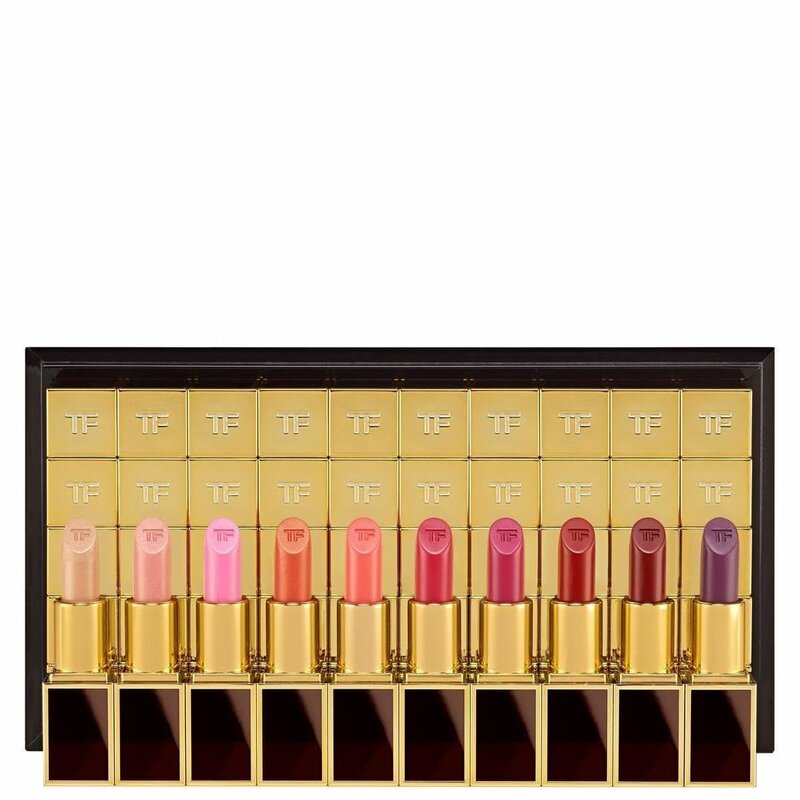 Each lip color is showcased in sleek, ivory-and-gold or mahogany-and-gold clutch-sized packaging. This decadent wardrobe of rich, specially treated pigments is blended to deliver pure color with just the right balance of luminosity. Presented in an exclusive black acrylic gold plated tom ford logo box.